Let your skin steal the spotlight. Accentuate your features with an instant flash of flattering light. Vanish Flash Highlighting Stick by Hourglass works like a spotlight for your face, vanishing into your skin for a seamless, lustrous glow with the smoothest possible finish. 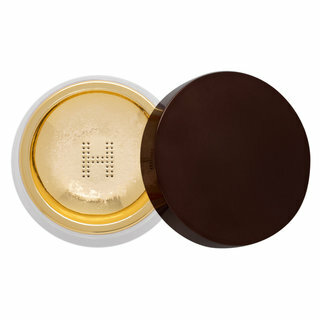 Housed in a sleek, portable bullet with a unique triangle-shaped design, this creamy highlighter lends skin soft-focus luster anytime, anywhere. Melts into the skin on contact. The long-wear formula adjusts to your body temperature to blend effortlessly into skin, leaving behind a smooth, seamless finish. Hollow microsphere technology creates a weightless feel and smooth-as-silk texture—perfect for layering to create a customized glow. The triangular bullet design offers precise application along the contours of the face. Sweep along your skin to highlight large areas or angle the corner to target hard-to-reach corners. 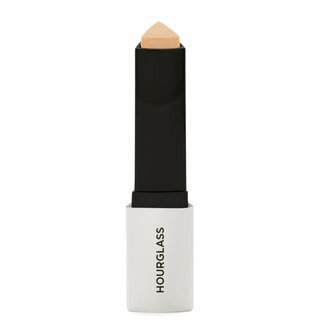 Apply Vanish Flash Highlighting Stick to the tops of the cheekbones, brow bone, bridge of the nose, and cupid’s bow. Blend out with your fingertips. Tap onto eyelids for lustrous color or as a base for your eye makeup. Pat onto bare lips for a sheer wash of luminosity or on top of lipstick for a metallic finish. Apply it under foundation, apply it over foundation and - oh, so forbidden - apply it over powder: it works nicely. Depending on when and how you put it on it can be subtle to noticeable but I wouldn't call it a "blinding" highlight (throw some powder highlight on top of it and you have that look if you want). I've got Gold and Champagne Flash; on my light winter complexion, Champagne is easier to work with (where I feel like with the Gold Flash I need to choose the rest of the make up like eyeshadows, blush etc. more carefully so it doesn't look odd to me - or wait for a tan ;) ). The sticks are very, very soft (do not push out too much of the stick and risk breaking it) and I personally love the shape of it (triangle like the foundation sticks). 4 stars for the quality, the flattering shades, the simplicity of applying it and the overall lovely effect it has on my skin. I love how this highlight turned out. The formula is soft and creamy without being greasy. The color I have is just the right amount for my olive skin tone. 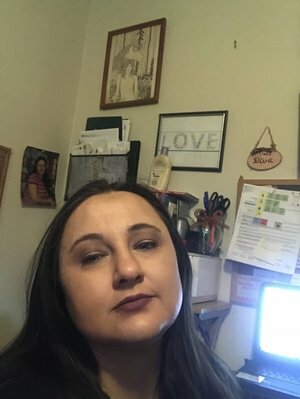 When applying I decided to put it under the foundation on my forehead, cheeks, nose, and chin to give an all over sort of shine. 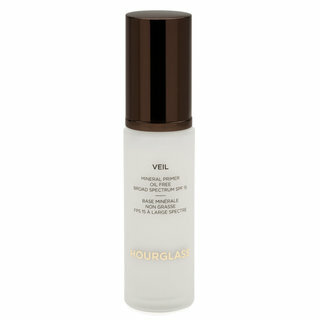 After the foundation I put on the rest of the contour and highlight then added this to my cheeks, chin, and nose for the really bright highlight. It works so wonderful. I love it and would recommend it to anyone wanting to find the perfect cream stick highlight. I did receive mine for free in return for my honest opinion I was not paid in anyway for my opinion. I was very surprised with this one-not nearly as pigmented as the reveal ads and not very long lasting. A pretty color but I really had to work it in so see it at all. I was going to buy them all but think I will pass now. 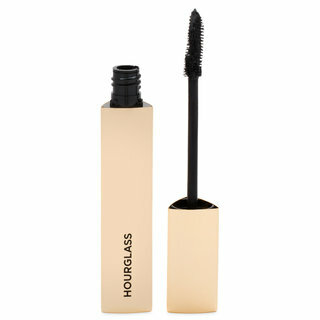 I bought this on a whim because i love hourglass products and let me say its stunning! I applied it over my foundation and before powder with a beauty blender and it left a beautiful glossy glow. I applied a little powder highlight over it and it lasted all day. 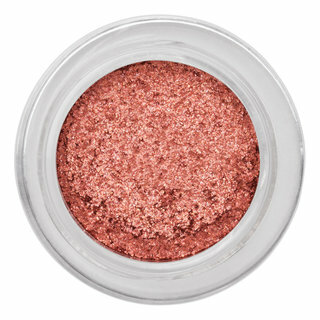 This product is creamy, pigment and easy to blend. I haven’t worn it for a little by period, but I’m m sure it will last. Absolutely love all of these highlighters, they melt in the skin seamlessly!!!!!! Would highly recommend!! 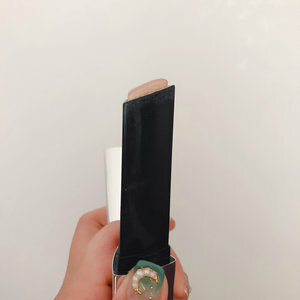 The triangle design is convenient for your face, it is easy to be colored, it is suitable for daily make-up appearance, it is very suitable for myself, I like this brand of cosmetics very much. It’s beautiful! !My friends like this ,too. Not too shine. I use it after powder It’s a good high light! a more subtle, not the kind of highlight you can see from outer space, which is good for my taste. Have to mention the excellent customer service - the replacement came in so fast after I emailed them about a faulty product; truly appreciate that.